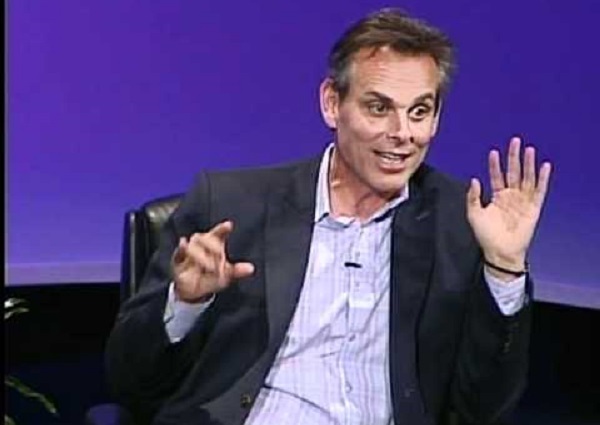 Confirming what had been widely rumored and speculated for the past month, Colin Cowherd’s move to Fox Sports has now been confirmed by both Jim Miller and The Hollywood Reporter. The former ESPN personality has signed a four-year deal with the network that, in addition to his radio show and simulcast on Fox Sports 1, will include a role on Fox NFL Kickoff, which is going from FS1 to the regular Fox network and will broadcast Sundays at 11 a.m. ET beginning in September. THR also reported that Cowherd, who has already relocated to Los Angeles, is expected to get a nightly show on Fox Sports 1 next year. His first appearance on FS1 will be the network’s college football opener featuring Utah hosting Michigan, with his radio show debuting five days later on Sept. 8. A source also told Awful Announcing that Cowherd will interview Michigan head coach Jim Harbaugh on the telecast’s pregame show, resuming the painfully awkward conversation that the two shared on ESPN Radio in early July. This new interview will presumably be less of a clunker than the previous exchange, now that Cowherd and Harbaugh are a bit more familiar with one another. Maybe there will be some pre-interview preparations this time, along with the host being perhaps a bit more focused on the game at hand, rather than trying to find out if the famously intense Harbaugh has his softer moments. Of course, Cowherd’s exit from ESPN wasn’t as graceful as either he or the network would have imagined, with ESPN taking him off the air a week early in light of controversial comments he made about Dominican baseball players on the air. Cowherd addressed the matter, speaking with THR‘s Marisa Guthrie. Cowherd’s radio show will be titled “The Herd” and broadcast from 12 noon to 3 p.m. ET on Fox Sports Radio with a simulcast on Fox Sports 1. The program will also be available through FoxSports.com and iHeartRadio.